First time on the market in 28 years. This house is move-in ready. Cooks kitchen with all stainless appliances and granite countertops. 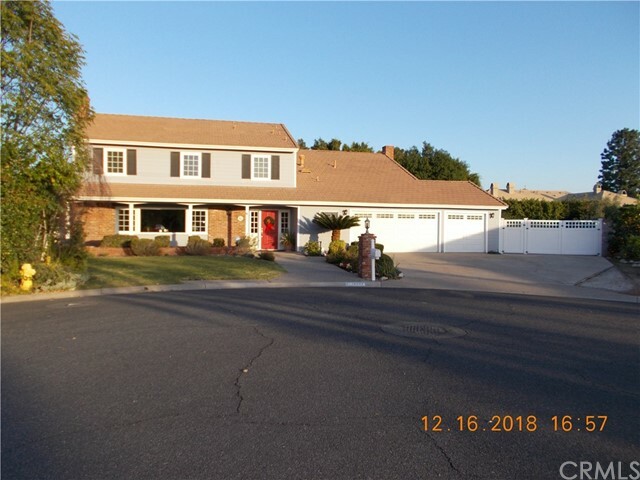 Remodeled bathrooms, newer tile roof, new exterior paint (18 months ago), newer carpet in living room and upstairs, wood floors in dining, kitchen, 1/2 bath and family room. New carrier high efficiency hvac and new duct work in attic. Five bedrooms, 3. 5 baths on the top of a very private cul-de-sack lot with only 5 neighbors on the block. Remodeled large pool with new tile (5 months ago) and above ground jacuzzi. Villa park schools easily walked to. Rv parking, large side yards that would accommodate a guest house or extra garage with living above. Beautiful outdoor kitchen with 52" dacor barbeque, sink and stainless refrigerator. Fire pit with ember protected fire ring that easily seats 4. For more information or make an appointment to see property ID PW19039770.